A groundbreaking ceremony was held Wednesday at The Woodlands Hills north of Houston. The 2,000-acre project is being developed by the developers of The Woodlands. 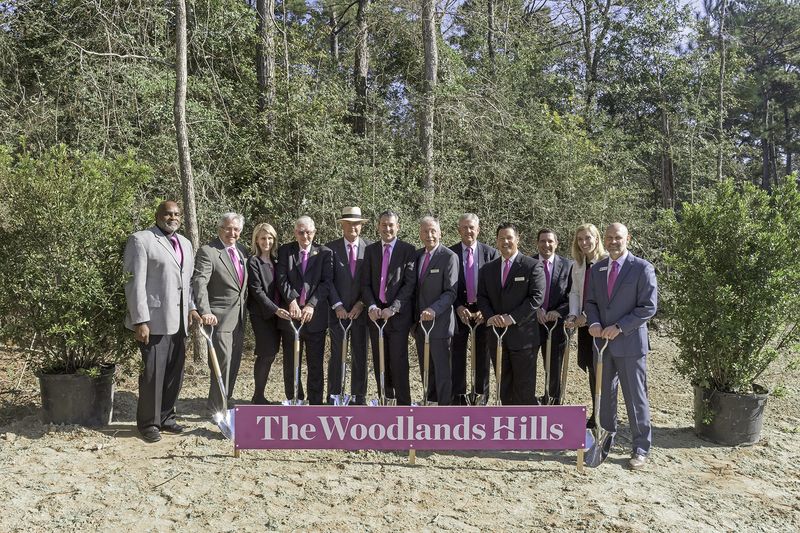 CONROE, Texas – (Realty News Report) – Howard Hughes Corp., the developer of The Woodlands, has broken ground at The Woodlands Hills, a 2,000-acre community located about 13 miles north of The Woodlands. The Woodlands Hills will have 4,500 homes, retail development, 112 acres of open space, 20 neighborhood parks and a 17-acre Village Park. The first homes will open in the first quarter of 2018. The Woodlands Hills is located on FM 830 on the west side of I-45, with property boundary extending north to FM 1097 and south to League Line Road. Located more than 40 miles north of downtown Houston, the community is between the Conroe and Willis communities and is in the Willis school district. After decades of building, the Dallas-based developer is nearing completion on The Woodlands, a 28,000-acre community that has a significant amount of office development and retail and a population of more than 100,000. “Leveraging our 40 years of experience developing some of the most successful master planned communities in the country, The Howard Hughes Corporation will develop The Woodlands Hills with the high quality standards and design principles that have made The Woodlands and Bridgeland two of the best-selling master planned communities in Texas,” said CEO David R. Weinreb.